Your tree's health starts below ground. Strong roots are the start to healthy long lived trees and our team specializes in offering services to focus on these vital tree parts. Our environment is changing quickly with a shift in weather patterns, an increase in storm severity, and growing foreign and domestic pest populations. Our trees are being stressed in ways we have never seen before. In an effort to help your trees overcome these challenges, we offer services to ensure your trees are getting all the right nutrients and a healthy environment for the roots to grow. Roots provide trees with the support they need to survive storms as well as the vitality they need to fend off pests and diseases. Our services will help manage pests before they become a serious threat. 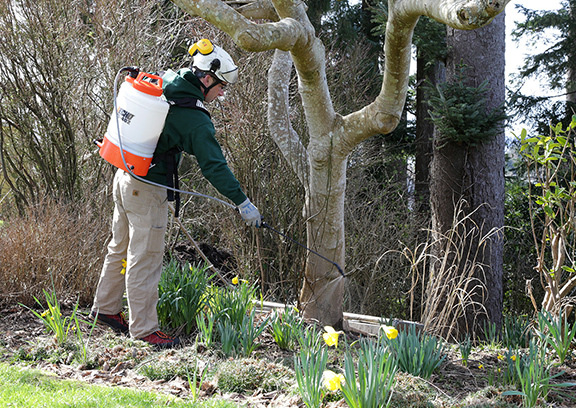 By using an integrated pest management approach, we can use natural predators along with organic insecticides to control pest populations before they become damaging to the trees. 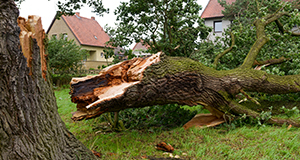 With our Total Tree Care services we have the resources to keep your trees healthy and viable for years to come. Thank you so much for doing such an incredible job on our trees. I am sitting at the dining table right now looking at the maple tree and loving how you opened up spaces. I have a great opening looking at the window of my neighbors but it is so subtle that you just get glimpses and the golden light at night. I am also enjoying the Katsura’s, I am not sure what all you did but they are looking spectacular. Thank you for your artistic touch to my garden. FERTILIZATION: Below ground injection of macro and micro nutrients to promote overall tree health and vitality. Application of specially blended nutrients to promote root growth. MYCORRHIZAE FUNGUS APPLICATION: Below ground injection of endo and ecto mycorrhizae into tree root zone to promote small root growth and improve water and nutrient absorption of the tree. Mycorrhizal fungi enhance flowering and fruiting trees and increase crop yields. ROOT CROWN EXCAVATION: Using an Air Spade, we will remove excess dirt and backfill material from the tree root crown. This will allow the root system to develop further and have greater access to oxygen. 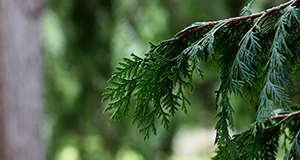 This technique will also prevent decay and fungal activity in the tree trunk and make the tree less susceptible to falling in a windstorm. RADIAL TRENCHING: Using this specialized treatment, we cut horizontal trenches 12-18 inches in depth, in a radial pattern, into the critical root zone of the tree using an Air Spade. The primary goal of this treatment is to not damage existing roots, to mitigate soil compaction and improve soil pore space. This allows for the movement of water, nutrients and oxygen in the soil. The trenches are backfilled with a blend of compost and soil aggregate to help prevent re-compaction. This will improve root mass, overall tree health and make the tree less susceptible to uprooting in a storm. This technique is used when there is no understory or landscape plants under the tree. 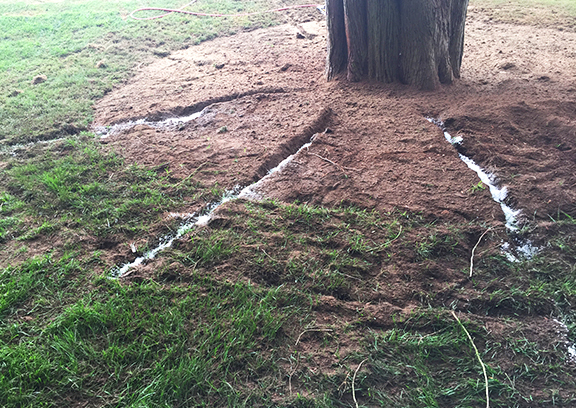 COMPRESSED AIR SOIL FRACTURING: Use of high pressure compressed air to fracture the soil and mitigate soil compaction and improve pore space in the tree’s critical root zone. This is done in a grid pattern from the trunk of the tree out to the drip line. This allows for the movement of water, nutrients and oxygen in the soil. This will improve root mass, overall tree health and make the tree less susceptible to uprooting in a storm. This technique is used when there is existing understory or landscape plants under the canopy of the tree and radial trenching is not an option. SOIL DRENCH PESTICIDE APPLICATION: Application of pesticide to the base of the tree for systemic uptake through the root systems of the tree to protect and prevent feeding from boring, piercing and sucking insects. 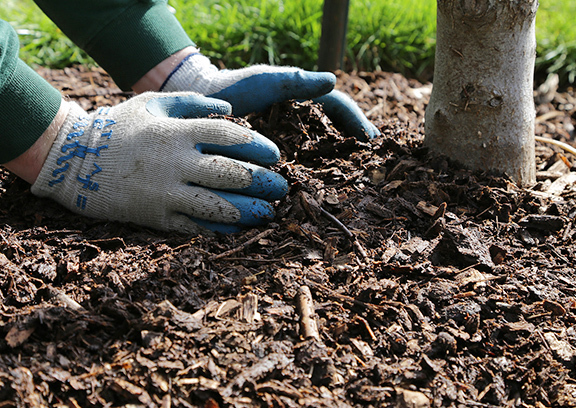 MULCHING: Application of a combination of processed tree mulch and compost blend to the root zone of the tree. This provides temperature to the root zone, improves soil nutrient levels, soil moisture retention is increased and it also stimulates soil biodiversity. Basically it puts the forest floor back into the soil. Soils are made through natural leaf, needle drop, and insect and small animal activity. In our modern landscape this is not happening so the soils become compacted and depleted. Mulching is the number one way to improve and protect tree health. 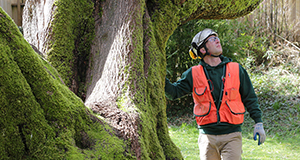 Our team of ISA Certified Arborists use cutting edge tools and software to deliver the tree data you need.